Béal na mBláth is one of the most famous sites in Irish history. It was here on 22 August 1922 that General Michael Collins, commander-in-chief of the Irish army was ambushed and killed. 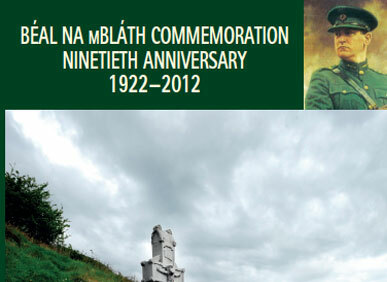 The annual commemoration takes place each year on the Sunday closest to August 22nd. 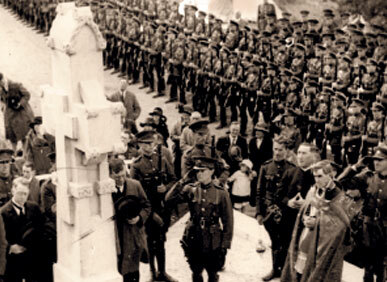 Written to commemorate the 90th anniversary of the death of Michael Collins. This book is a record of the orations and images down through the years. It is a valuable piece of history and a fantastic record of the history of the monument. The commemoration committee are responsible for the yearly ceremony and speaker. Many famous politicians have been orators at this event down through the years. 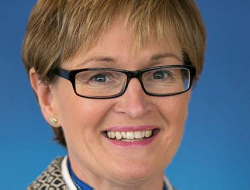 This year we are delighted to have Mairead McGuinness MEP speaking at 3pm on Sunday 20th August. People come from far and wide to commemorate Michael Collins and the continuity of this ceremony is ensured by the committee and the visitors. Read more about the details of this years event.